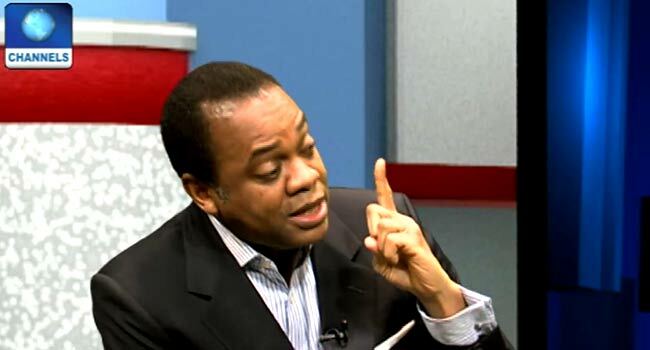 File: Former Cross Rivers State Governor, Donald Duke. Former Governor of Cross River State, Mr Donald Duke, says he remains the presidential candidate of the Social Democratic Party (SDP) despite reports that the party has endorsed President Muhammadu Buhari as its consensus candidate for the 2019 general elections. Duke took to his Twitter page on Thursday night to condemn the party’s decision, insisting that he remains the sole candidate of the SDP. “Regardless and for the avoidance of doubt, I Donald Duke, remain on the ballot and the candidate of SDP as recognised by the Independent National Electoral Commission (INEC),” he stated. “This afternoon, the National Executive Committee (NEC) of the Social Democrats Party, SDP, came up with a decision to endorse the APC and its candidate, President Muhammadu Buhari for the February 16th Presidential election. “This unfortunate saga, is as a result of an aspirant who lost at the party primaries on the 6th of October fair and square, does not query the conduct of the primaries but rather resort to bigotry, querying my suitability to contest for the presidency on the grounds that I come from “the wrong part of the country,” he said. According to him, the decision to join the presidential race under the SDP platform rather than the previous party he belonged to was to make the needed change. He thereafter criticised the SDP’s National Executive Council for the decision he describes as rather unfortunate. Breaking: No road will be closed for Buhari's visit - Lagos Govt.